1525 was a long time ago. Santa Marta, the first city in Colombia, was founded and the Bubonic Plague spreaddi in southern France. Also, during the Italian Renaissance, the artist Bernardino Luini, a pupil of Leonardo da Vinci, was commissioned to paint a fresco of the Madonna of the Miracles in Saronno. To portray the Madonna, he chose a beautiful local innkeeper. As a mark of her gratitude, she prepared for the artist a special gift of a flask full of an amber liqueur. The legend that is Disaronno had begun. In 1600, many families would distill their own liqueurs and digestives, with the Reina family doing just that after rediscovering the innkeeper’s old recipe. Passing it down over generations, the popularity of the closely guarded recipe grew as during the first years of the twentieth century, Domenico Reina decided to open a store and workshop near the terminus of the tram line from Milan, situated in the heart of Saronno. 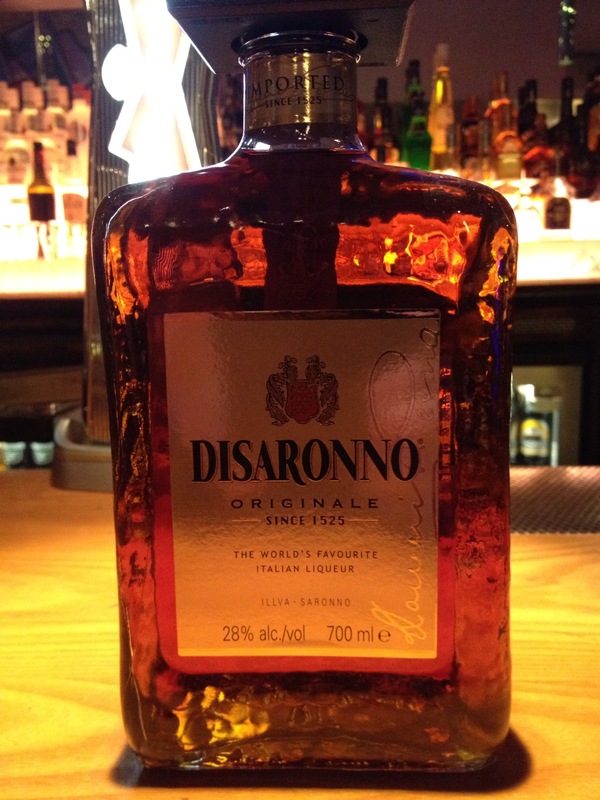 It was here that the Disaronno Originale was produced and sold commercially. 1942 saw the iconic ‘square bottle’ come into force and during the 1960’s, the rest of Europe and the USA grew to enjoy the brand. In the seventies, a master glass maker from Murano, Venice, hand-crafted the unique ‘square bottle’ made from softly sparkling glass, and formed the now familiar design. Instant hit of sweetness on the nose with a strong dominating almond aroma. Softer on the palate however with a rather short, sweet flavour of almond and marzipan. 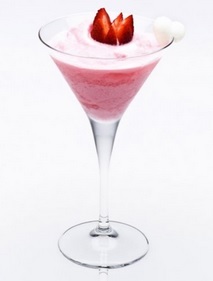 Mix all ingredients in a blender with ice and pour into a chilled Martini glass. Garnish with a strawberry. Great versatility for a classic Amaretto. Always a staple of many a bar too, and quite possibly in your drinks cabinet at home. Check out more photos via my Facebook page and purchase a bottle here.